Remember the little boy who broke down in tears when he approached a lady surviving on Oxygen concentrators and cylinders for money? 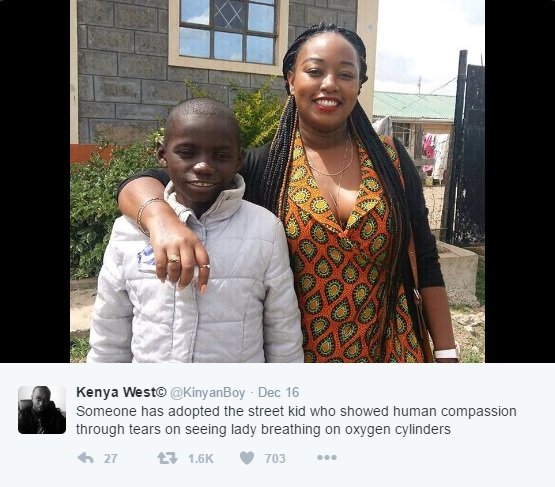 Well, the good news according to twitter user and Kenyan Communication consultant, @KenyanWest, is that the little boy has been adopted. He is pictured on the left with his adoptive parent identified as Nissy Wambugu. Hopefully he goes on to have an amazing life now!